How many times per day do you think you are asked “How are you”? We’ve turned this (probably) well intended phrase into basically - a greeting. Most treat “how are you?” the same as HEY! Good Morning, or What’s up? It’s a way to greet another person that we typically don’t respond with any honesty behind. During counseling sessions with clients, we pull apart what their response to this question “how are you?” means. 1) Time to think and process. Often people who don’t wear their emotions on their sleeve require time to think through, sift through, what has happened and how they feel about it. Sometimes in my own mind I even ask myself - How do I feel about this? And it takes a few moments for the answer (truly) to surface. 2) Just because feelings aren’t expressed, doesn’t mean they’re not there. People who have difficulty explaining their feelings to others are often incredibly sensitive people. Just because they’re not forthcoming, doesn’t mean they’re cold and unfeeling. 3) Sharing your feelings can be scary. Opening up to someone else puts a person in a very vulnerable position. Often I’m thinking - how will they respond? What will they think of me after I say this? What if this makes them angry. I like to share with client’s that talking about my own feelings is something that is a challenge for me. I think others assume that therapists are just masters of this whole emotional health and well-being part of life - buzzer. Nope. I have challenges just like anyone else. Perhaps you’re thinking of someone in your life now that struggles to talk about how they feel; share with others. Here are somethings you can do to help. 1) Respect where they’re at. You may not be the one they want to open up and share with. If you’d like to be that person, tell them that. And respect their response. 2) Listen and limit questions. Especially the why question. Why do you feel like that? Why didn’t you say this before? Everyone has feelings, feelings don’t hurt people - and your feelings are aloud to be different from theirs. It’s ok.
3) Make space and time for them. Refer back to item 1 on this list. If you’re wanting to be there for someone, make time and space for them; not with the expectation of them spilling their guts, but rather as a gesture that says you’re important to me - how you feel is important to me. I’m interested to know what types of emotions are difficult for you to share with those you love? 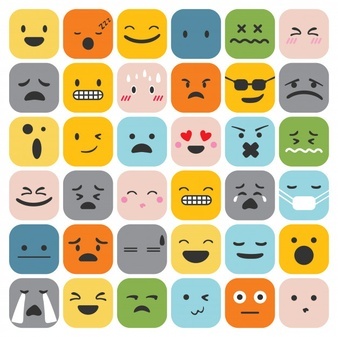 What emotions are easier to share with others?